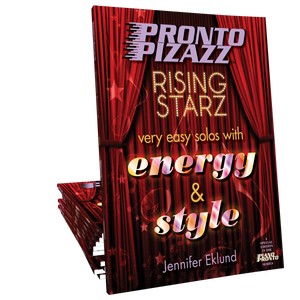 Pronto Pizazz play-along soundtracks will enhance every student's lesson experience! Available as MIDI files for use with a digital piano or Mp3 files to be used with an external speaker. Two versions of each track: one with the melody playing and one without. 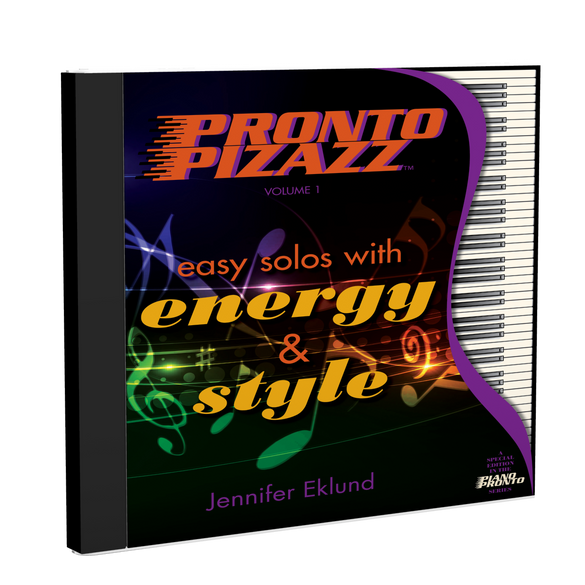 Pronto Pizazz play-along soundtracks will enhance every student's lesson experience! Use the MIDI files with any digital piano such as a Yamaha Clavinova. MIDI files will allow you to easily change the tempo of the pieces. If you are not using a digital piano choose the Mp3 version of the play-along tracks instead. Digital download only. These Play Along Tracks are wonderful!!! I have a couple of students that are enjoying being able to have them to work with to help with keeping a steady beat. They are also helps to teach them to keep going when they make a mistake. Having the backing tracks really adds to the practice time at home. They are full-time fun!!! 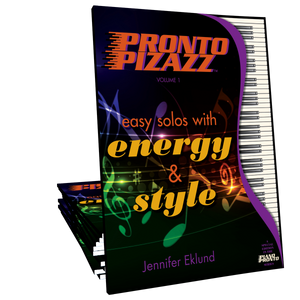 My students love the MIDI tracks for Pronto Pizazz because they are fun. I love that we can change the tempo to match their level, and that the students are sooooo excited to play all of their favorites in this book over-and-over. :-) Thank you for making MIDI files for this book!